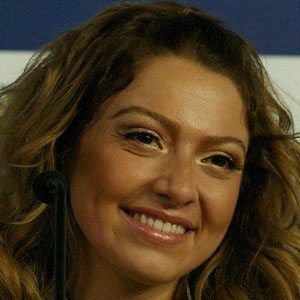 Award-winning pop and R&B singer who became a presenter on the Belgian version of The X Factor as well as a judge on the Turkish version of The Voice. She represented Turkey in the Eurovision Song Contest in 2009 with the song "Dum Tek Tek." Her dropped the single "Sweat" in 2004. The song peaked at #19 on the Flanders chart. She released her debut album in 2005. She was the opening act for a cancer research contest in Belgium. She has an older sister named Hulya, a younger sister Derya, and a younger brother Murat. Shakira, Jennifer Lopez, Janet Jackson, and Prince are among her musical influences.